Jean grew up in Adams, Minnesota. She attended Rochester Community & Technical College and while she was there placed 1st in the State of Minnesota’s Vocational Industrial Clubs of America (VICA) Skill Olympics. She then placed 2nd in the nation for her skills in dental assisting. She brings 35 years of experience to Elrod, Green & Heimer and joined the team in 1982. 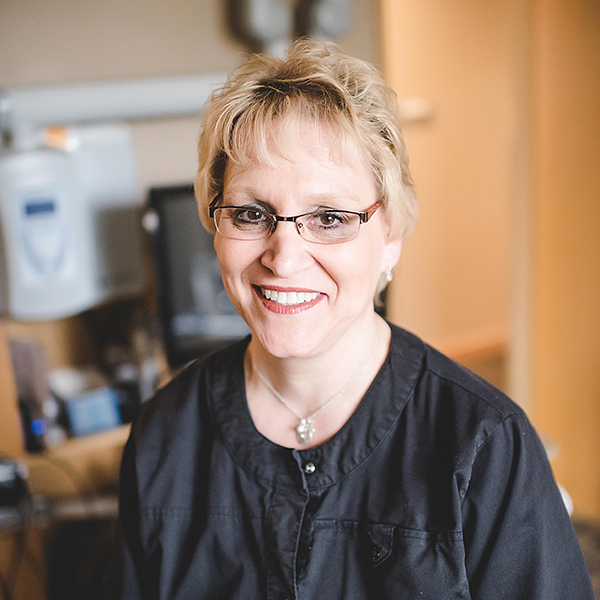 Jean provides her patients with kind, friendly service. In her spare time Jean enjoys being with family, loves flowers and gardening and her family enjoys hockey and baseball. She also has a love for cars and owns a 1985 Monte Carlo SS.